Four years into real estate, Matt learned how to build a profitable business model, but realized that the people paying him, tenants, were not the people he was truly passionate about helping. 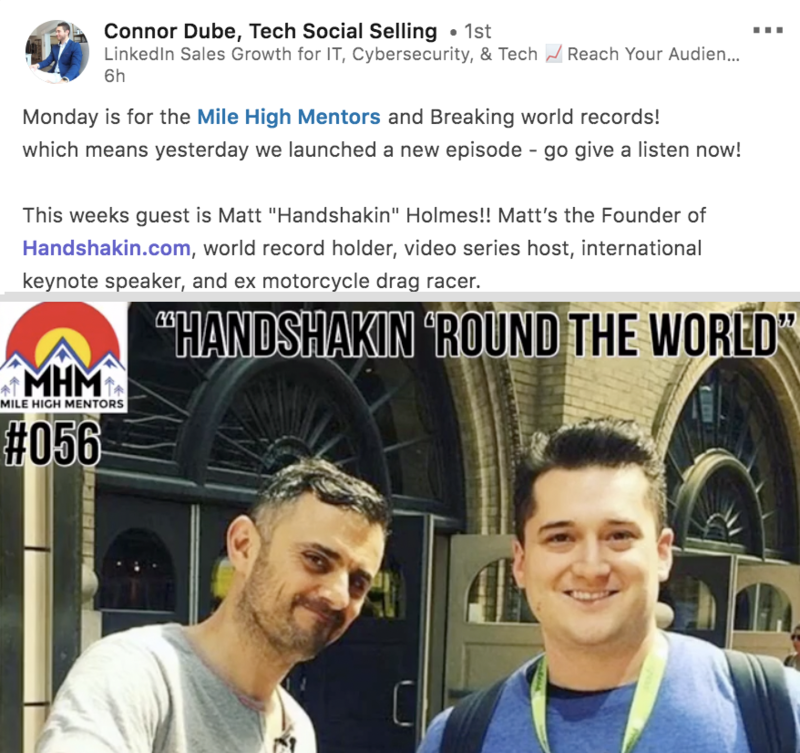 In 2015, Matt sold off his equity and invested in his second startup, Handshakin.com, an internet company, and never looked back. Now, you can bring Matt to your organization to motivate and inspire your attendees for scoring big wins in the business world. Matt tailors each of his speeches to your specific group and will tailor his keynote speech for your group, specifically targeting your areas of interest and industry. Matt's rates start at $3,000 for a 60 minute session. "I quite possibly will ask your attendees to stand up & shake hands for 1 minute."